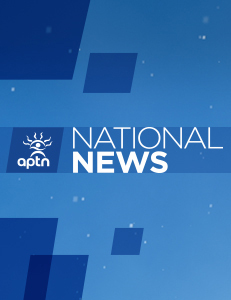 A new premier who promises to get things done has been chosen by the Nunavut legislature after its members removed the old one from office with a vote of non-confidence. “I will work with cabinet, MLAs and everyone else to get where we want to be,” said Joe Savikataaq as he thanked his colleagues for their support. Savikataaq, 57, took office after Paul Quassa, elected only last November, was resoundingly rejected by the house earlier Thursday. He could muster only three votes, one of them his, in the 22-seat legislature. Members of his own cabinet voted against him. Quassa will keep his seat. In Nunavut’s non-partisan system, the premier and cabinet are chosen by the elected members of the legislature. Thursday’s vote was the first time a sitting premier has been removed in the territory’s 19-year history, although it has happened to a cabinet minister. The Northwest Territories, which also uses a consensus-style government, has seen four such votes, one of them successful. Formerly Quassa’s deputy premier, Savikataaq is in his second term as a member from Arviat, a tiny community along the shores of Hudson Bay. Along with being Quassa’s deputy, Savikataaq’s job list was long. He held ministerial responsibility for economic development, transportation, environment, energy, and mines, as well as two Crown corporations. Before politics, he spent nearly 30 years as a conservation officer. He is also a scuba diver and a small airplane pilot. He and his wife Susan have three children. Savikataaq beat two colleagues, both present or past cabinet ministers – Lorne Kusugak and Patterk Netser. In his speech before the vote, Savikataaq described himself as a straight shooter not afraid to tell unpopular truths. “I’m honest and tell it like it is,” he said in an English section of an address given mostly in Inuktitut. “Some people don’t like that. Questioned about Nunavut’s high rate of violence against women and children, Savikataaq said it’s time to dig for the roots of the problem. He said a better approach may be to focus on addictions treatment or mental health and trauma centres. Savikataaq, who ran against Quassa for the premier’s job last November, took care to promise his style will be different than his predecessor’s. Quassa was criticized for an autocratic, uncommunicative approach something that doesn’t go down well in a style of government that’s supposed to reflect Indigenous values of consensus-building. “There’s not been a lot of team effort among the members under this (former) premier,” said John Main, the MLA who introduced the non-confidence motion against Quassa. It wasn’t clear if changes were coming to cabinet portfolios or if Savikataaq will revisit the legislative agenda hammered out under Quassa after last fall’s election. It’s also not clear what would happen to the territory’s budget, recently tabled by Quassa’s cabinet and being debated in the legislature.